We hope to offer all competitors a highly organized, amazing competition experience! So mark your calendars, put on your dance shoes and join us January 31st - February 2nd, 2019 for the NEW Maryland DanceSport Championships! Ilya and Amanda Reyzin began competing professionally in June 2007 and have competed in 144 competitions and 254 professional events. They have received top placements in the American Rhythm, American Smooth, and Showdance Divisions. Ilya and Amanda are sponsored by Dore Designs, Anabell’s Dancewear and Dancelife USA. Amanda is the organizer of the American Star Ball Championships in Atlantic City, NJ and co-organizer of Maryland Dancesport, in Baltimore, MD. Ilya is the co-organizer of Maryland Dancesport, in Baltimore, MD and co-organizer of the Nebraska Dance Festival in Omaha, NE. Ilya and Amanda are Championship certified adjudicators with the North American Dance Teacher’s Association (NADTA) in International Latin, International Ballroom, American Rhythm, American Smooth and Theatrical Arts. 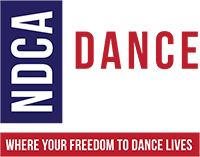 They are also recognized as a National adjudicators with the National Dance Council of America (NDCA) and are members of the World Dance Council (WDC).